Recently murdered Greek anti-fascist rapper Killah P is just the latest casualty in a worldwide surge of fascist violence. 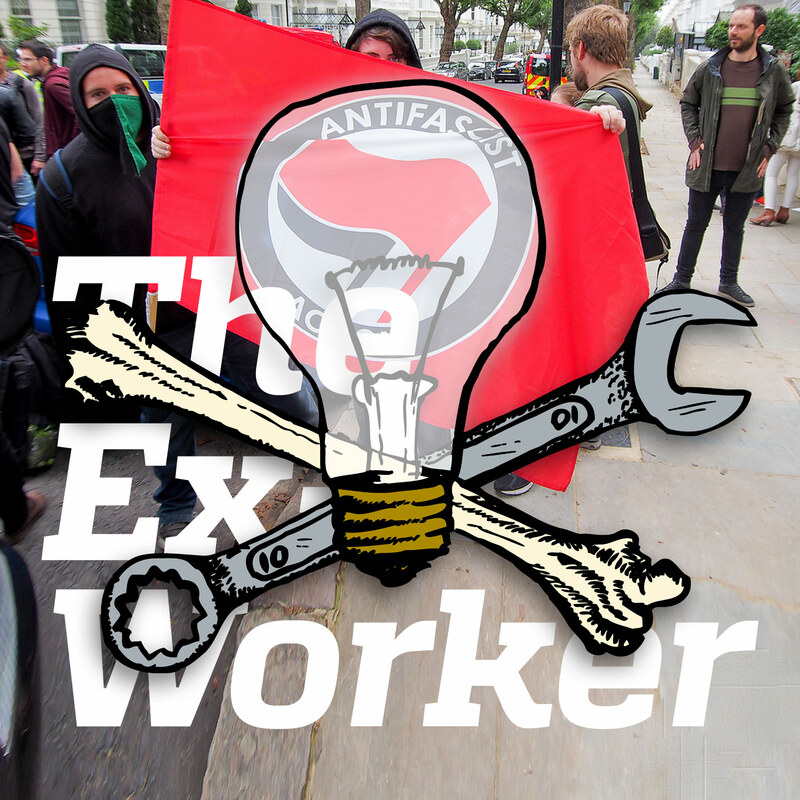 In this episode, we analyze contemporary fascism and the resistance anarchists have mounted to it, including the history of Anti-Racist Action. Interviews with the One People's Project and New York City Anarchist Black Cross discuss the extreme right in the US today, tactics for fighting fascists, and the Tinley Park case. We also clear up a listener's question about "National Anarchism," roll out more Contradictionary terms, and share a ton of news and upcoming events. The Anti-Racist Action Network includes chapters in Washington DC, Chicago, Indiana, Portland, and elsewhere. We also recommend looking through the online archive of Turning the Tide, an ARA-affiliated newsletter based out of Los Angeles. There’s also a benefit CD for sale to benefit legal funds for anti-fascists now available. On the “National Anarchists”: the Political Research Associates article “Rebranding Fascism” provides an excellent analysis. And while we don’t endorse the Southern Poverty Law Center ñ nor would they endorse us ñ their article “California Racists Claim They’re Anarchists” offers some useful information. The original CrimethInc text cited in the listener’s question was “Fighting On the New Terrain”, in the section “Decentralizing Hierarchy: Participation as Subjugation”. An audio piece about Killah P’s life and music, including an interview with one of his close friends. It explains the Greek state and mass media’s willful ignorance of the Golden Dawn’s fascist violence until it claimed the life of a native Greek person. For more insight into defining fascism, consult What Do We Mean By Fascism?, from the Three Way Fight anti-fascist blog. We also recommend Gilles Dauve’s article “Fascism / Anti-Fascism”. Beating Fascism is an excellent collection of history and interviews and about anti-fascism from an anarchist perspective. An analysis of a struggle against the neo-fascist student organization Youth For Western Civilization appears in Rolling Thunder #9 along with a critique of the liberal “free speech” defenses of fascist organizing. The texts are available in zine form from the NC Piece Corps under the title “The Divorce of Thought From Deed”.